Although cherry blossoms and sake are both iconic symbols of Japan, the two are actually more intricately linked than meets the eye. From the annual outdoor drinking parties of "hanami" to sake made from actual sakura, they’ve both worked together to mold modern Japanese culture in many ways. Sometimes, it can seem as though there aren’t many photos of Japan that don’t feature vibrant pink cherry blossoms. 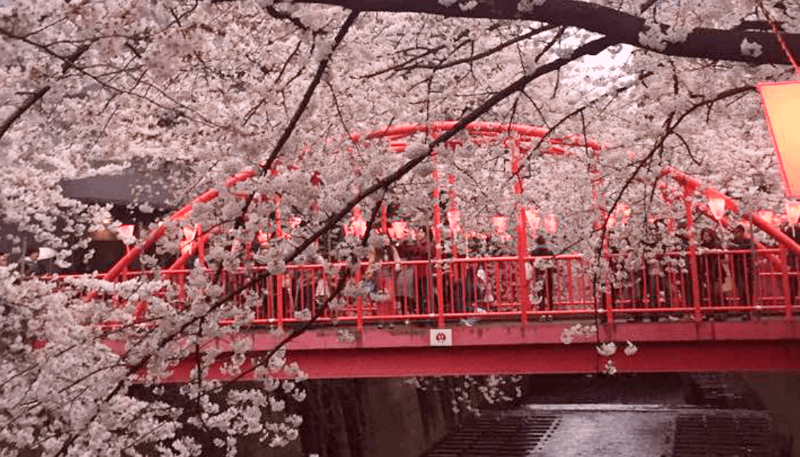 To people outside of the country, sakura are an easily recognizable symbol of Japan and, of course, they also hold powerful symbolism for the Japanese themselves. The blossoms’ very brief existence of only a few days reminds us all of the transient nature of life. And for cherry blossoms’ few days on Earth, millions of people congregate around them to appreciate their fleeting beauty with nature hikes, photography, and viewing parties. 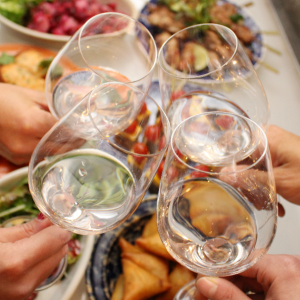 These parties, known as hanami, are usually attended by groups of friends or coworkers who have picnic-style meals together and – more often than not – drink a lot of beer, wine, and sake. In the more popular areas with plentiful sakura-filled scenery, partygoers sometimes must stake out a prime spot hours, or even days, in advance. But once everything is set, the party can go on for quite a while in the warm weather amid the gorgeous backdrop of pink flowers. In some countries, the idea of such free-wheeling, unrestricted public drinking on such a massive scale is probably hard to fathom, but in Japan it’s a way of life. In fact, public drinking in general, event or not, is common and accepted in Japan. 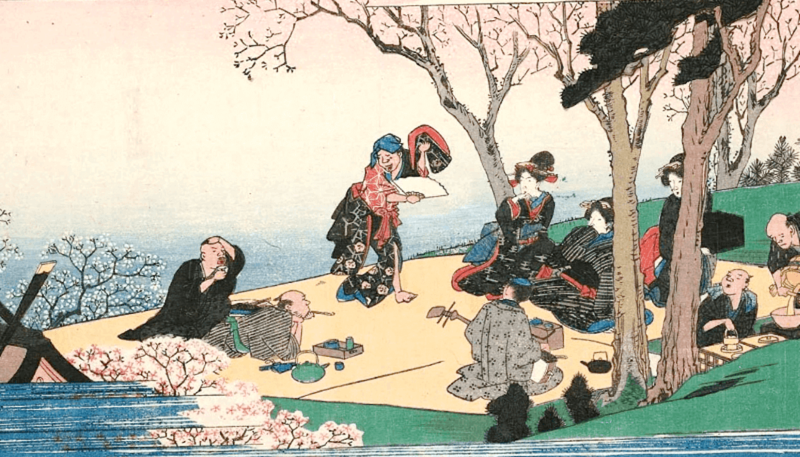 It’s safe to say that the very old tradition of communal drinking under the sakura trees had some influence on today’s attitudes when it comes to imbibing in the open. This may come as a surprise, but cherry blossoms are a relatively newly adopted symbol of Japan, gaining prevalence sometime around the mid to late 17th century. 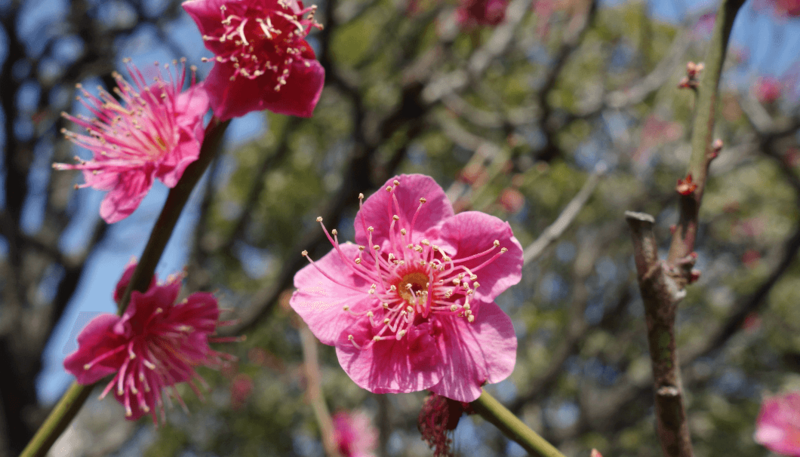 For hundreds of years prior to that, ume (a type of Japanese Apricot) blossoms were the most highly regarded spring flower of Japan. It was with good reason too, as ume blossoms bloom earlier than cherry blossoms and thus are a more appropriate symbol of the arrival of spring. 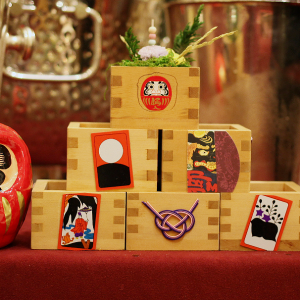 In old Japan, it was the ume trees that the nobility would often gather under for sake-fueled viewing parties. Yet, the cherry blossom held a far greater significance to another segment of the populations: rice farmers. It’s said that cherry blossoms bloom when cumulative daily average temperatures in spring reach 400℃ (752℉), usually sometime between late March and early May, depending on the part of Japan they are in. This time period conveniently marked the best time to sow rice paddies. Particularly in these earlier days of very limited technology, growing rice was a demanding job. Water needed to be irrigated and the land often needed to be levelled, all by human hands. The appearance of cherry blossoms during this time was happy coincidence for rice farmers clever enough to see the morale building potential sakura had to offer. In much the same way the nobility would congregate near ume trees, the working class would have their own party under the cherry trees. These early hanami parties of the working class certainly influenced how the Japanese of today enjoy the tradition. Many companies still insist on workers going out after hours drinking together, for both hanami and for “semi-mandatory” team-building binges. Drinking sake under dazzling pink cherry blossoms is one of the better ways to experience Japan’s remarkably liberal public drinking culture… But where to find a hanami party? Finding a place for a hanami is usually not hard. 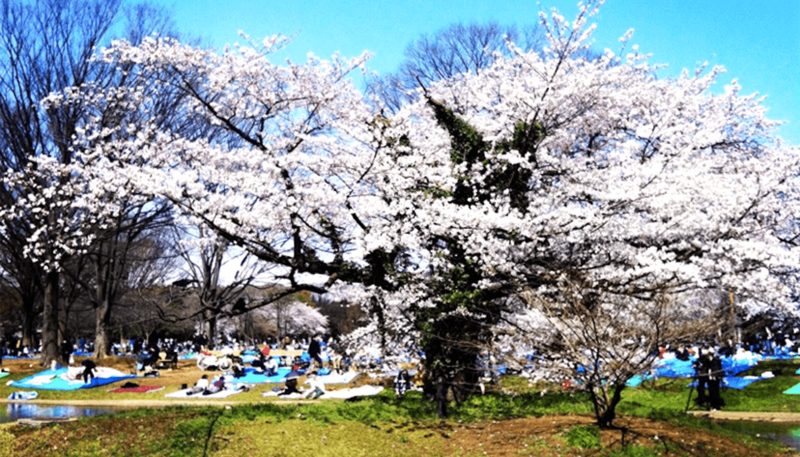 Most neighborhood parks have at least a few cherry trees and as the parks get bigger, so too do the number of trees, with Tokyo’s Shinjuku Koen possibly representing the biggest and best among urban parks. Cherry trees are also frequently found along the banks of rivers, providing revellers with “walking hanami” options. But for those who want to go even bigger, Japan also has several legendary locations for viewing cherry blossoms. Anyone wanting to visit these places ought to beware though. With great popularity comes massive crowds, which can sometimes detract from the serene beauty of the sakura. Areas around Mt. Fuji may be good choices. Although the idea of viewing Japan’s most iconic flower in front of Japan’s most iconic mountain is a huge draw, the area is so big that visitors don’t always get quite as cramped. Kyoto is also an excellent location for hanami with areas like Heian Shrine, Philosopher’s Path and Maruyama Park. The ambiance doesn’t get much better than the classical beauty of Kyoto decorated in cherry blossoms. Unfortunately, many thousands of people agree, and converge in these areas each spring. Arguably the greatest spot for viewing sakura is Yoshino Mountain in Nara Prefecture. Among the oldest clusters of sakura in the country, it’s now said to hold over 30,000 trees along a winding path through an array of breathtaking scenes. It’s also said to he the most crowded of sakura sites but those who go still say it’s worth it, attesting to how great it is. Yoshino is also closely related to the sake industry. Wood from the Yoshino pines were once the ideal material for the wooden tubs used for brewing, thus making Yoshino a great location for sake history buffs. 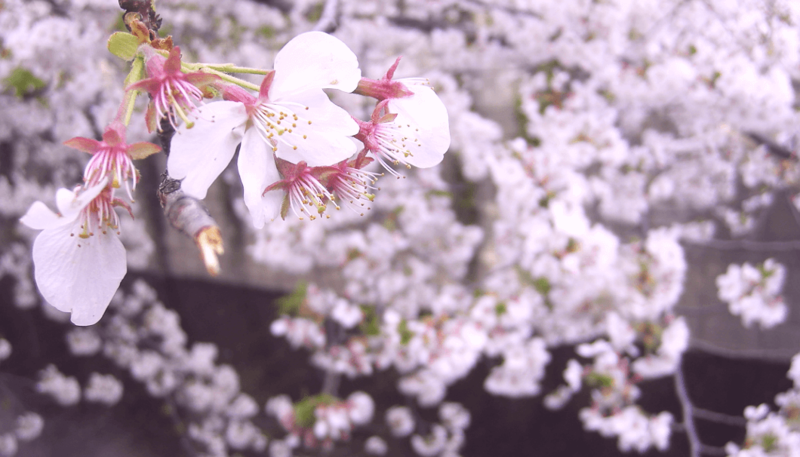 Since rice is the lifeblood of sake, it certainly owes a lot to cherry blossoms and their impact on early rice farming. On top of that, although preferred drinks range from beer to cocktails nowadays, sake was undoubtedly the most popular choice in the early days of hanami. 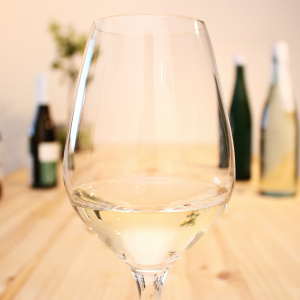 Even today, though, certain types of sake are specially brewed for hanami-style settings. One example is Kubota Seppo, made by Asahi-Shuzo Brewing Company in cooperation with outerwear makers Snow Peak. 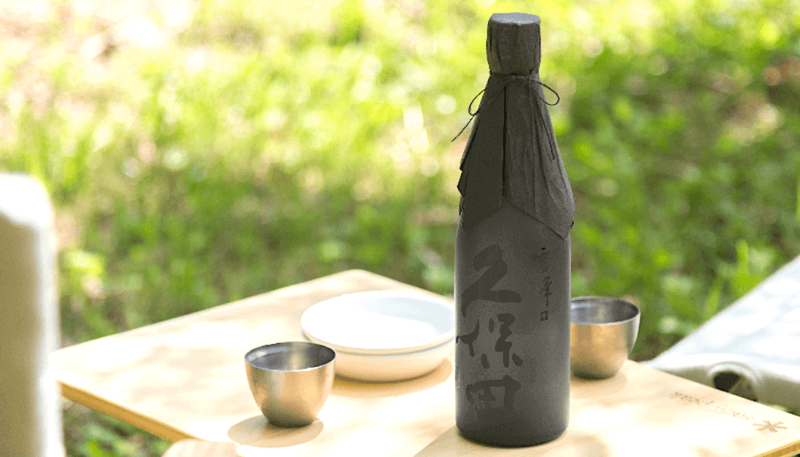 This sake is sold in slim, easy-to-carry bottles and crafted with a flavor to complement picnic foods like tempura and chicken. 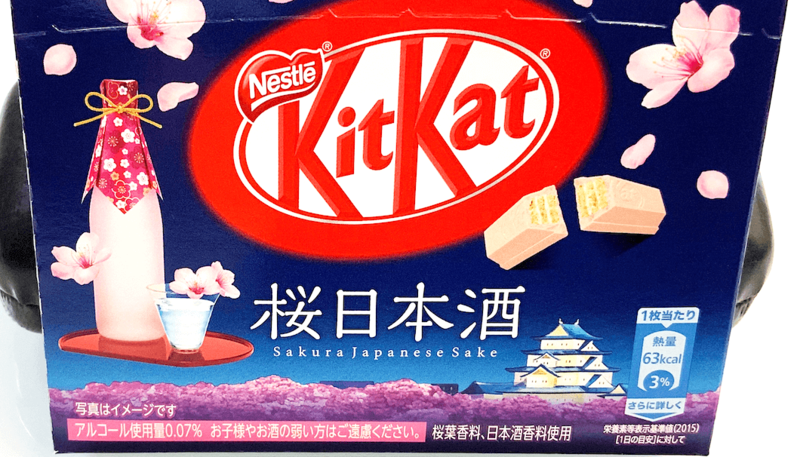 Also, this year Kit-Kat, well known for their vast range of Japanese-limited flavors, has come out with a special sake sakura flavor. The chocolate coating is mixed with a very aromatic sake flavoring and the cream in between the wafers is strongly flavored with sakura extract. 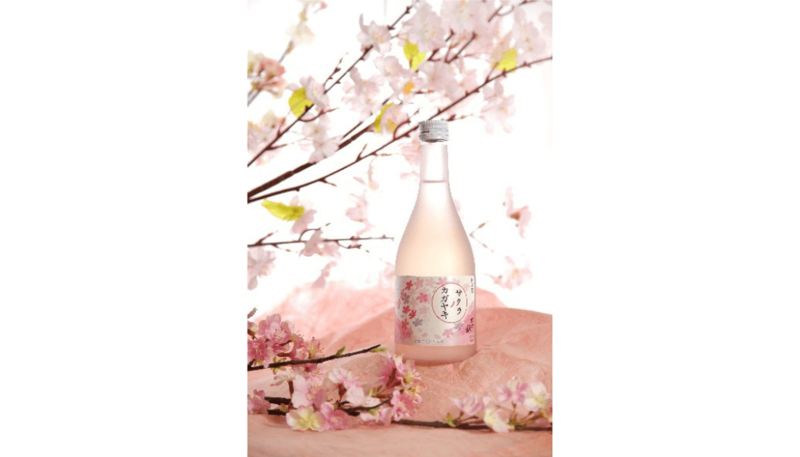 The result is a powerful yet mellow taste that represents both sake and cherry blossoms quite well. But perhaps the greatest marriage between sakura and sake is seen in brands from Yamaguchi Prefecture, like Hana Kahori from Yamagata Brewery and the carbonated Kanon, made by Nagayama Honke Brewery. Traditionally, sake uses a set of very specific yeasts, carefully chosen over centuries of experience for their ability to produce great sake. 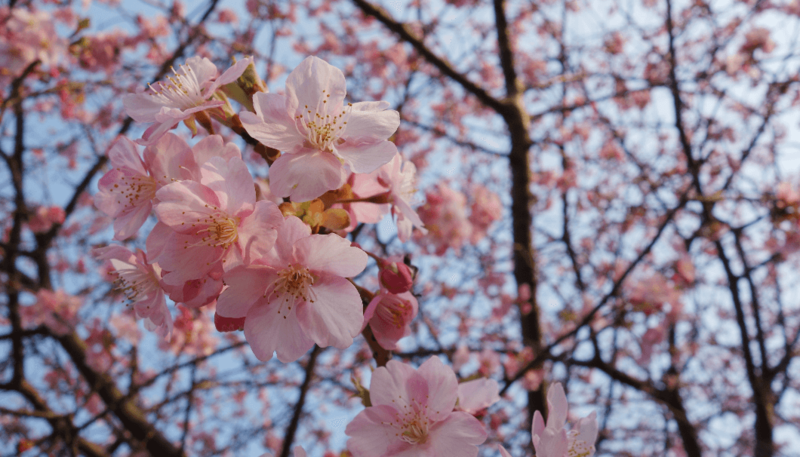 But the Yamaguchi Brewery Association only recently discovered a new type of yeast suitable for brewing sake – and that yeast lives inside cherry blossoms. With the help of researchers at the National Institute of Technology Ube College, this yeast was able to be extracted and was subsequently named Yamaguchi Cherry Yeast (Yamaguchi Sakura Kobo). It’s been used by area breweries to create a wide range of offerings from the low-alcohol (5.5%ABV) Hana Nara Tsubomi by Sakai Brewery, to the somewhat dry taste of the junmai Sakura No Shizuku (15%ABV). In general, though, sake made with Yamaguchi Cherry Yeast is said to be more mellow and sweet compared to conventional sake, which breweries hope will appeal to younger drinkers that may have a misconception of sake as a stiff drink for older people. This recent evolution in sake shows the long-running and deep relationship it has with sakura, and the event where they can be enjoyed together, hanami. It’s a relationship that we can expect to continue for some time to come and look forward to the new changes it brings in Japan.